A 2014 graduate of Ballston Spa H.S. ... 2014 US Lacrosse All-American ... three-time All-League selection, including first-team honors as a junior and senior ... totaled 97 ground balls as a senior ... three-year starter ... 247 career ground balls. A 2014 graduate of Shoreham-Wading River H.S. ... standout in lacrosse, football and wrestling ... US Lacrosse Academic All-American ... all-county as a senior ... Newsday top-100 player. A 2013 graduate of Sachem North H.S. ... one of the top student-athletes in school history ... one of the top recruits in the country ... all-New York and all-Long Island as a senior in football ... brother, Mike, is a senior on the lacrosse team. A 2014 graduate of Claremont Secondary School ... led Claremont to a U-18 title at the Space Needle Shootout ... played box lacrosse for the Victoria Shamrocks ... Jr. A Shamrocks leading scorer with 36 goals and 41 assists ... member of Team British Columbia ... MVP of Midget A Provincial Championships. A 2014 graduate of Riverhead H.S. ... all-division in lacrosse ... scored 40 goals and added 16 assists in the midfield as a senior. A 2014 graduate of Walt Whitman H.S. ... one of the top scorers in Suffolk County ... 35 goals and 27 assists as a senior ... national honor society member ... awarded a Booster Club Scholarship by the South Huntington School District ... Minds in Motion award winner. A 2014 graduate of Central Memorial H.S. ... coached by former Stony Brook lacrosse player Rhys Duch ... helped Calgary Mountaineers to BCJALL Western Canadian Finals ... member of Team Alberta ... member of 205 West All-Star Team ... played for Canadian lacrosse legend Geoff Snider on Team Elev8. A 2014 graduate of Penn Yan Academy ... US Lacrosse All-American ... four-year starter in goal ... first team All-Section V .... led team to four straight sectional titles ... one of top players in Rochester ... All-Greater Rochester ... 63 save percentage as a senior. A 2014 graduate of Ridgefield H.S. ... one of the top face-off specialists in Connecticut ... all-FCIAC ... team went 13-3 and advanced to semifinals of Class L ... three-time all-league wrestler. A 2014 graduate of Mason H.S. ... US Lacrosse All-American as a senior ... first team All-Region and second team All-State as a senior ... second team All-Region and honorable mention All-State as a junior ... 98 ground balls as a senior ... added 10 goals. A 2014 graduate of Carey H.S. ... a two-time all-county pick in football and lacrosse ... tallied 44 goals and 16 assists as a senior ... team captain in football and lacrosse. A 2014 graduate of Sachem North H.S. ... Blue Chip 225 camp participant ... standout on the football field. A 2014 graduate of Bay Shore H.S. ... three-time all-county selection ... Long Island Showcase rising junior ... 30 goals and 37 assists as a junior ... Newsday top-100 player ... 50 goals and 39 assists as a sophomore. A transfer from Dowling ... tallied 25 goals and 25 assists for the Golden Lions ... a 2013 graduate of Newfield H.S. ... all-county as a senior ... 39 goals and 17 assists as a senior ... two-time all-division. A 2014 graduate of Smithtown East H.S. ... four-year varsity starter ... all-county as a senior ... member of Long Island Lacrosse showcase ... Under Armor All-American Top 40 ... Newsday top-100 player. 6'2'' 180, scored 25/25 for Dowling as a freshman. Went to Middle Country and also played ice hockey. Two time all conference. Looks like he is a fogo, missed his junior year. 1st team all FCIAC at the X. From western CT, also wrestled, usually a good skill for a fogo. -We already heard that Calvagna left. -Phenomenal to see Andreassi back in action. Sounds like Corpo is slated for a more permanent spot on the 2nd mids. Also it looks like Curry will stay at LSM, with Rock, and Ellis slated to fill in where Vassallo left off at DM. At defense, Luca staying down low with Judge, and perhaps Dorsey in the mix (lots of new faces here too). It also says that Luca may take faceoffs, with Lindsay, as expected. agreed. judging by these photos, i wonder if philbin was a pinch&pop FOGO, and if so, to what extent? We knew about Rowe and Shaughnassy but Harris was a solid defender. The rest really didn't play much outside of Balzano, who lost time as the year went on. The roster has Rooney and Sichenzia listed as midfield. Would assume one would start at Attack. Luca also listed as a Mid...I bet he plays D, unless he goes back to FOGO. thanks for finishing that off, J-dub. we also knew about shaughnessy and bentz so that's not surprising. harris and balzano do surprise me a bit, they both had some PT and also balzano just arrived. who knows. for balzano, wood, mahon, bentz, you'd have to think with the logjam of talent on offense- all of which are returning, and most again for 2016 (! ), there arent going to be many runs to go around. further, we've got sichenzia rotating in as a fourth attackman, and then next year we have guys coming in like sheets, robison, chicquen, lloyd, harrington, and czetlaka. year after that is ozsvath, hughes, howell, kickel, cusmano, and crossan. sure, some will play d-mid, some might not play at all. but these names are the future. then we have guys like bitzer, corpo, reh who have shown some promise in just a little time and have 3 years left (reh redshirted 2013 right?). and then there's wildcards, will cunningham move out of d-mid, will lindsay play any offense, buron, etc. maybe our 2nd mids will become a more useful line now, considering the talent- for example, we've seen bitzer as a mainstay there, maybe we beef up this line and they give our 1st mids a rest from time to time. maybe we run a more up-tempo offense now that we have some more horses. i think the real key will be getting live game experience for the young guys. start thinking 2017 season! rooney was listed as a mid i think last year or the year before, possibly because i think he actually ran mid for a few games. not sure about sichenzia, perhaps there is an experiment to move him over. though, when rooney graduates, i would guess that sichenzia is a very nice fill in behind the cage. Albany isn't losing just Miles and Ty Thompson going into 2015. Based on the team's 2014 roster, Albany will lose about 57 percent of its starts from last season, a sizeable chunk of contributors that includes three of the team's top four point generators from a season ago (those cats accounting for about 44 percent of the team's total points in 2014), two starting defensemen from the team's final date against Notre Dame, and the team's primary long-stick midfielder. This isn't a situation where the break-up of the Thompson Trio is the sole cause for concern; Marr has some other personnel situations to address. The Great Danes should have a high ceiling again in 2015, but there is a notable level of transition taking place on the roster. They have to take down the Great Danes in the AE playoffs this year. It's the only way they'll make it to the dance. Highlights: The Seawolves have 10 home games out of 16. New program NJIT is welcomed to the schedule, led by former Stony Brook assistant Travis Johnson. Princeton comes to LaValle Stadium on April 4, the first time the opponents have met since 1993. The Seawolves play newcomer UMass Lowell at 7 p.m. Friday, April 10, in Lowell, then have a quick turnaround to prep for a Sunday afternoon tilt with Lehigh. Sure, the Great Danes lose a lot, not only on offense, but an entire starting close defense, too. But with the best player in the country back, Albany should be considered the team to beat in the America East. You see it time and time again in sports that a truly great player can lift a team to level that it otherwise wouldn't reach without him or her. Lyle Thompson is a once-in-a-generation talent who, through the fall, worked to develop chemistry with some underclassmen on offense who may play key roles, including lefty attackman Connor Fields. It won't be easy — Thompson said he expects double- and triple-teams and getting shut off to go to a whole new level this season — but stopping him and the Danes' offense won't be as simple a task as some may think. If they can sure up the defensive end in front of returning goalie Blaze Riorden, look for Albany to stay ahead of the pack. Word is the Danes may be getting a couple transfers that could also help boost the offense before the spring semester starts as well. Dark horse might be pushing it considering Stony Brook took Albany to the brink of post-season elimination in the America East semifinals, but the Seawolves did go 2-3 in the league regular season and 6-10 overall so it's not that much of a stretch. Stony Brook has a lot of pieces in place to make a run at what would be their first league crown since 2012, coach Jim Nagle's first season with the Wolves. Stony Brook's entire starting attack and first midfield is back, led by junior attackman Brody Eastwood, who scored 40 goals for the second straight season. Attackman Mike Rooney, now a senior, led the team in points in 2014 (31 goals, 22 assists) while Matt Schultz, tripled his freshman scoring output with 26 goals and 24 assists as a sophomore last season. Challen Rogers had a team-high 30 assists out of the midfield. In all, Stony Brook returns more than 95 percent of its scoring from last season. The conference opener for both teams is a rematch of last year's America East semifinal, nearly won by Stony Brook. It will be a good barometer to gauge if the Great Danes will be the league front-runner throughout conference player, or might have some more work to do. Last time, Albany won in dramatic fashion on a Lyle Thompson goal in the final seconds of regulation to tie the game. The Danes went on to win it in OT. Had they not won, Albany likely would have not made the NCAA tournament. Their at-large resume wouldn't have stacked up against the field. This will be Stony Brook's chance to avenge that loss and perhaps set the tone for the rest of the season, and making themselves the front-runner. Challen Rogers made Honorable Mention Pre-Season All-American...So did Rowe but he's at Duke now. SB was ranked 35th in the Face-off yearbook. That is about as middle of the road as you can get with 69 D1 teams this year. They even had Michigan ranked ahead of us at 34. Based on a few quotes from coach the D will be changing again. Lucas Rock will now start at close D. Dorsey also a possible starter down low. The freshman will battle it out for the 3rd spot. Mentioned Judge would be playing SSDM. No mention of Luca...maybe he's going back to FOGO. Locks for Attack were Eastwood and Schultz. Rooney wasn't mentioned much and he is our leading returning scorer...WTF? Nagle will never give him any ink because he was a Sowell recruit. Maybe he starts on Middie with Rogers and Hughes. I would like to see him finish out his career on Attack. The roster lists him at Middie. The article mentions zero fall scrimmages for the team. Another head scratcher from our clueless coach. If they can't will the AE this year he has to go. No more excuses for the clueless wonder...his boys are all grown up now. Thanks Joey- these are uninformed guesses, but, perhaps Sichenzia fills in at x where Rooney left off? Or perhaps a new face like Sheets??? If Rooney is at mid with Hughes and Rogers and Andreassi, i suppose that gives us nice depth with Bitzer and Corpo having another year under their belt. Plus there are plenty of new guys who can play on that line. I wonder who will faceoff, Lindsay, Philbin, Luca, etc. Curry i suppose will still run pole? And since it sounds like Judge will run midfield, i wonder if he will play some pole too, same for Luca, makes sense, again just guesses and there are new faces. If Rock and Dorsey play down low, a mystery "freshman" could be one of six guys. Good chance though we know Johnstone will start in cage? Guess we will have to wait till Feb!!! Faceoffs may also be an issue for Stony Brook, as freshman phenom Kyle Rowe transferred to Duke this offseason. 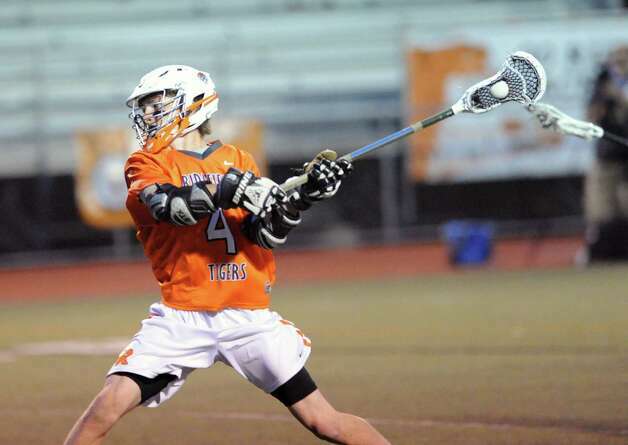 However, they return junior middie Challen Rogers, who had 22 goals and 30 assists last season to ease the pain. They also return junior Brody Eastwood, who had an impressive 40 goals last year. Stony Brook has the offensive power to put up a lot of points, but somebody will have to step up at the faceoff X to get them the ball first. Another 2-3 AE season is not what the Sea Wolves have in mind. Overall, this conference is intriguing for 2015. Albany is still a very powerful team, but with the loss of two huge pieces of their offense, there is a chance that another team could step in and take the conference title. However, there are still some unanswered questions around the conference. How will UMass Lowell fare in their first year? Can Stony Brook and UMBC win faceoffs? Will Binghamton be able to fill their offensive holes and have another good AE season? Who will start in net for Hartford? All of these story lines make the America East Conference one to keep an eye on! Looks like all they did was look at schedule and stats. But i of course appreciate the coverage.